Our staff and volunteer coaches have been providing daily sessions in the SDA Academy in Castries during their recently concluded National school U19 post season play-offs. Under the guidance of United Through Sport coaches; Jamie Powell and Manish Patel, SDA managed to reach the finals for the first time in their history! Watched on by West Indies Captain and National icon, Darren Sammy, the team were unfortunately to lose in yesterday’s finals to Vieux Fort Comprehensive in front of live cameras and a large crowd. 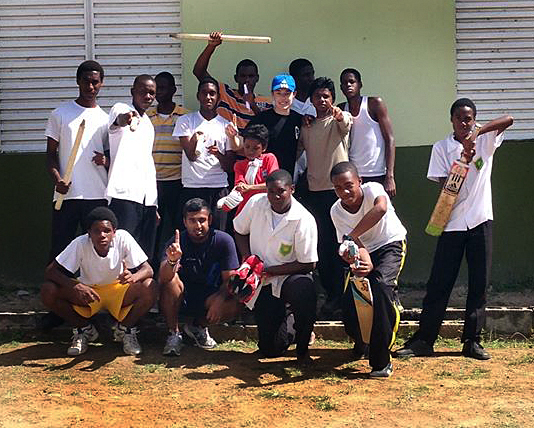 United Through Sport intends to continue its support of the SDA cricket programme, hoping to take the U15’s one step further.